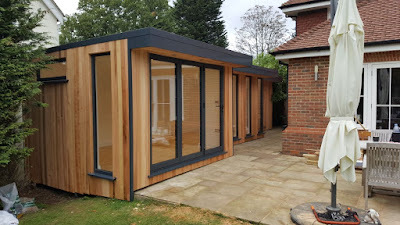 This intriguing double L-shaped office was designed and built by eDEN Garden Rooms down the side of a home in Reigate. "Our client came to us with a vision to turn the space at the side of their home into a multi-functional office," says Mia Walmsley from eDEN. 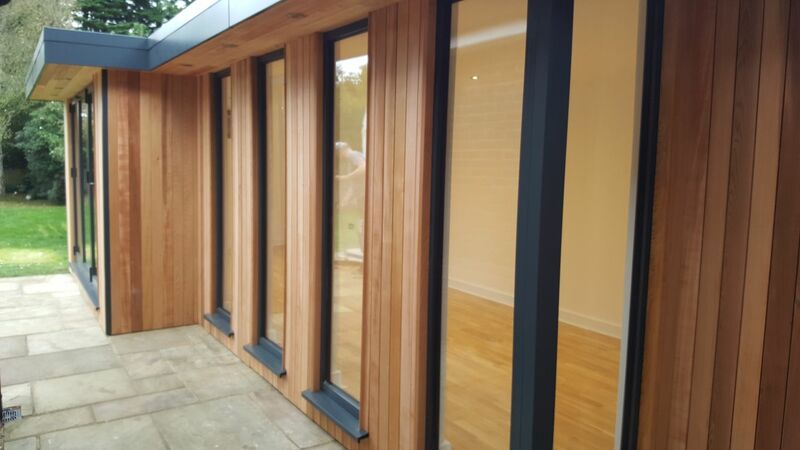 "The beautiful ceiling-to-wall windows help to punctuate the shape of the garden room, and coupling these with large bi-fold doors ensures that light streams into an otherwise potentially dark room. 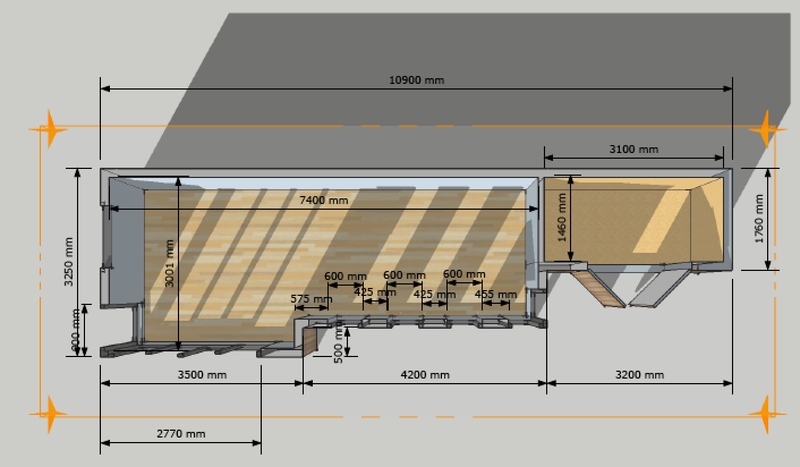 "As well as plenty of practical living and working space, we also included integrated storage at the far end of the garden room, which works neatly with the streamlined design, tucking away down the side of the main house. As you can see, although this project is built in relative proximity to this customer’s home, there is still plenty of access space around the garden room itself, which is accentuated by their large social patio area."